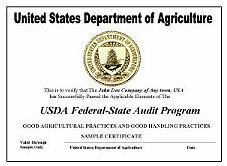 The purpose of the Federal-State Inspection Service’s Audit Verification Program is to demonstrate that the participating company was adhering to generally recognized Good Agricultural Practices and Good Handling Practices when the audit was performed. This is a voluntary program established to attest to the participants adherence to the Food and Drug Administration’s “Guide to Minimize Microbial Food Safety Hazards for Fresh Fruits and Vegetables." 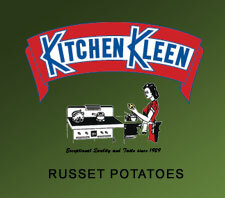 Food Alliance Certified™ - distinguishes foods produced with respect for people, animals and the environment.